Honda celebrates the people who chase their dreams in it's "Yearbook" commercial set to air during the 2017 Super Bowl. Yearbook pictures of celebrities encourage everyone to follow their dreams in Honda's Super Bowl 51 commercial. Just be prepared to stumble, or flat-out fall on your face; because, as Amy Adams, Tina Fey and Robert Redford say, you need to "just keep going." Magic Johnson encourages all of us to pick ourselves up and believe in ourselves while Steve Carell asks a rhetorical question about whether or not anyone believed that he'd make it, which Darryl feels the need to answer for some reason. If you want to make something, just do it! 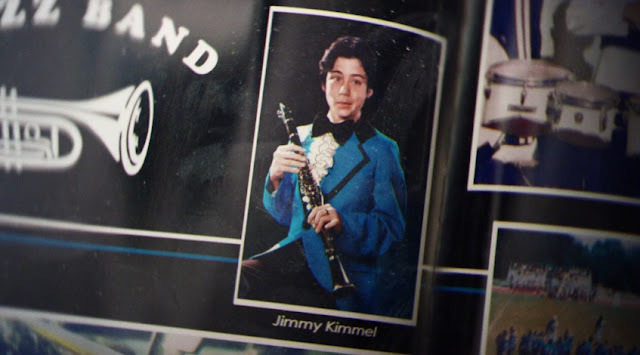 Though, maybe choose your clarinet outfit a little more wisely than Jimmy Kimmel.